For 40 years, Eden I & R has been successfully fulfilling its mission of "linking people and resources" by consistently and creatively responding to the community's changing needs. The agency's services are the result of collaborations that depend on the work of hundreds of community-based organizations. 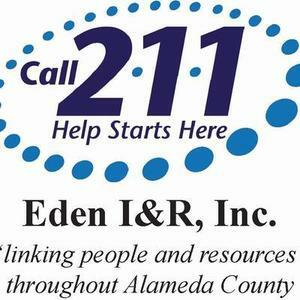 Because no other centralized source for health, housing, and human services information exists anywhere else in Alameda County, Eden I & R has become a critical resource for thousands of at-risk individuals, such as youth, non-English speakers, the economically disadvantaged, people living with HIV/AIDS, domestic violence survivors, the elderly, disabled, the homeless, and human service agencies seeking services or housing for their clients. Eden I & R, Inc., was incorporated as a non-profit 501(c)(3) agency in January 1976 in response to a community need for a service that would assist people in obtaining information about, as well as gaining access to, community resources. Our skilled information management and referral specialists provide a critical information bridge between individuals in need and human service agencies.